The VME-EVR-230 is a successor of the VME-EVR-200 which was designed for the Diamond Light Source. 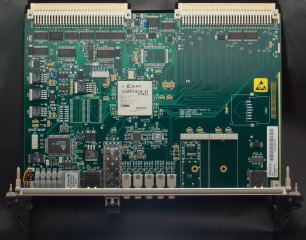 This board is targeted for subsystems that do not require the best timing precision. The performance is similar to the PMC and cPCI versions of the Event Receiver.